Arts, Creativity, Sigs, & Avatars Movie Production, Artwork, Animations, Sounds and other creative things to do with Pixie Hollow and Disney. I feel more spirited up lately, so I decided to take a glimpse look of this forum again, and it makes me wanted to stay longer because of you all active wonderful pixies, and also most of your artworks. Anyways, no seasons without art. Let's celebrate this year autumn by making some artworks (just as we did in Pixie Hollow). I'll start first. Here's a clothes design, ready to be used for autumn. Fly with you, Alyce! It's nice to see you around again. I love your Autumn artwork. What a lovely idea to make Autumn themed art! I might try to make something if I find the inspiration and I'm curious to see what others come up with. Lovely artwork! You never disappoint! I'm terrible at drawing but I'll see if I can find some time to make some kind of autumn themed piece. Last edited by Alexa Diamondflower; 10-01-2018 at 10:51 PM. It's so good to see you, Alyce! Your artwork is beautiful as always! I can easily see this being displayed in the Queen's Boutique. The color and shading is really well done. It's been so long since I created fairy-related artwork, but I'll see if I can find some inspiration. How beautiful, Alyce! I would have definitely wanted that from the Queen's Boutique!! Nice to see you back on the forums. That's really pretty, Alyce! Glory would have loved to wear that for the Autumn Revelry. And welcome back to the forums! Thank you! Looking forward to see the artworks from all of you. 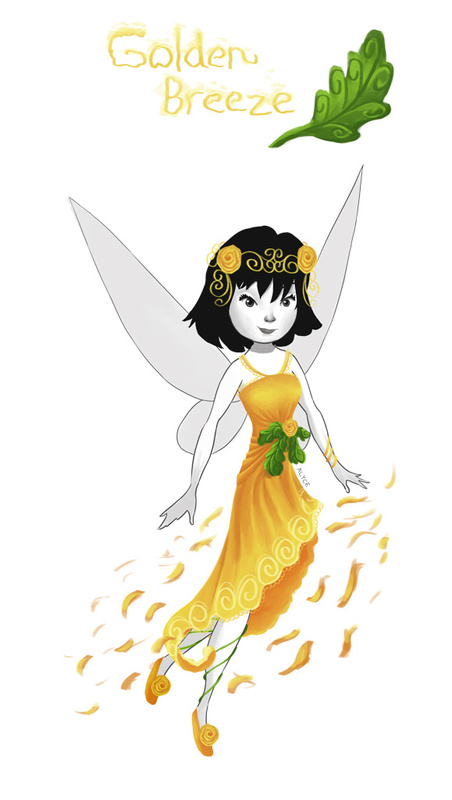 I never got around to actually creating something , but I did update my fairy's outfit to fit the season! It's been a really long time since I made fairy graphics, but this thread inspired me to try my hand again! Wow what lovely graphics! I especially love the flowers. Aww, thanks Neverbelle! I love your fairy's fall outfit too!